Cruise down hidden rivers with the Inflatable Boat with Explorers. 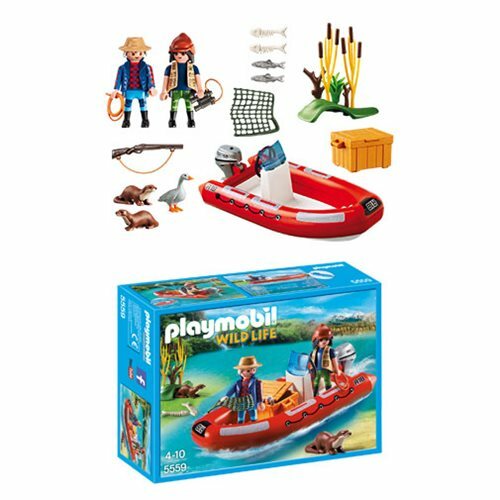 This lightweight raft with motor helps young adventure-seekers visit the deepest depths of the forest and discover all the different animals. Set includes two figures, river otters, goose, fish bones, storage box, and other accessories.